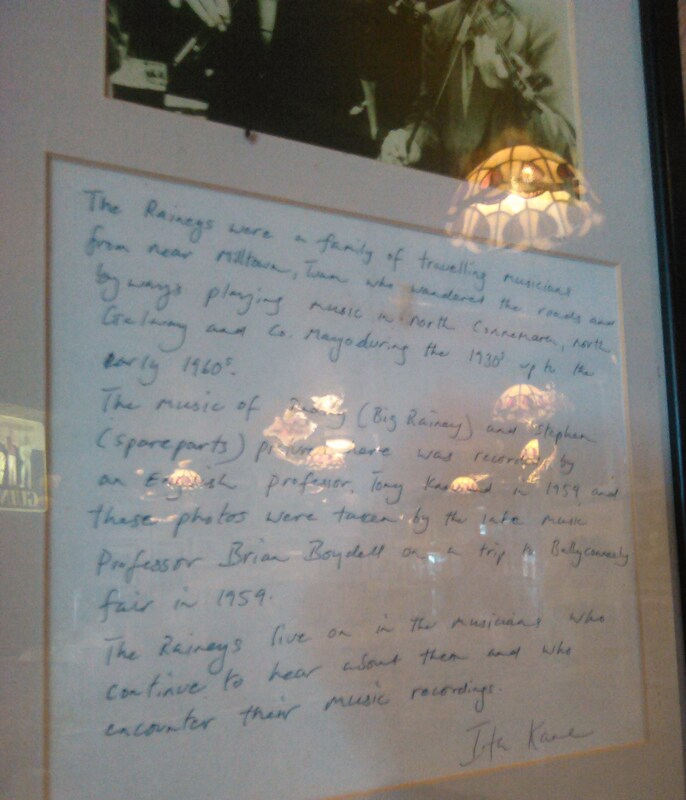 “The Raineys were a family of travelling musicians from near MILLTOWN, Tuam,who wandered the roads and byways playing music in north Connemara, north Galway and Co. Mayo during the 1930’s up to the 1960’s. 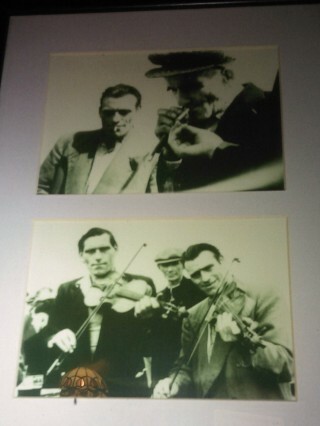 The music of Rainey (Big Rainey) and Stephen (Spareparts) pictured here, was recorded by an English professor, Tony Knowland in 1959 and these photos were taken by the late music professor Brian Boydell on a trip to Ballyconnelly fair in 1959. See also: https://the session.org/recordings/2422 for examples of their music.